Entrance test for the programme is scheduled on 20th of June, 2019 at 10 a.m. (GTM +3). Students have to preregister for the test in here. project, Computer-aided design basics, Landscape Architecture basics, Conservation of historical heritage and regeneration. What are the study programme outcomes? The aim of study program is to give University education, main knowledge and skills in order to independently solve architectural and urbanization tasks. This study program should develop artistical and intellectual abilities of upcoming architects. Also, to form aesthetical attitude, conception of setting organization. Moreover, to provide with the main knowledge about constructions of buildings, engineering equipment, planning of urbanism, ecology, economics, sociology and law. After architectural studies students gain the Master's degree. How can you get into the programme? For Architecture programme, entrance test is requered (example). Foreign students can take the test online on a previously agreed time. The test is reviewed by vice dean of the faculty and programme coordinator. Test duration is 6 hours, it consists of two tasks. 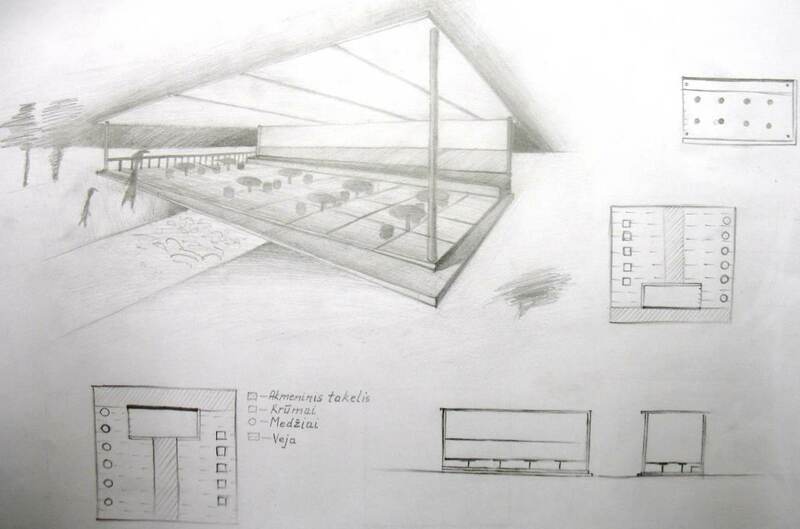 First task is architectural composition. The aim of the task is to prepare presentation of proposed design of the architectural object and its environment. Single A3 sheet of paper should be used for presentation of the project. The project should include the plan, front and side views of the object as well as perspective view of the object rendered in natural environment. Additional views or details are allowed if necessary. The test should be executed in free hand technique using graphite pencil. Second task is free hand drawing task of proposed construction (two or three elements). A3 size paper sheet and graphite pencil use only. To independently organize projects of buildings and urbanism which correspond to aesthetical and technical requirements. Principles of buildings and structures of urbanistic functional schemes and artistic shapes. Methods which supply person‘s and society‘s requirements and interests. About architecture and with it related history of arts and theoretical background. About building constructions and engineering systems, understand their importance and applied problems of architectural projection fields. Internship of industrial projection is performed in the companies of architecural projection where students during two months develope practical skills of projection. As a result, during the internship students strengthen their theoretical knowledge and experience of academic projection. Students participate in works of professional and creative collective supervised by experencied architect. According to this, students understand and gain knowledge about structure, particular activity of company and are associated with team work. Blekinge Institute of Technology, Lund University (Sweden); Alfonso X el Sabio University (Madrid city), Polytechnic University of Valencia, University of Seville, University of Alcala (Spain); Sapienza University of Rome, University of Florence, Polytechnic University of Turin (Italy); Norwegian University of Science and Technology, Oslo School of Architecture and Design (Norway); University of Minho (Guimaraes’e city), Technical University of Lisbon, ISCTE – University Institute of Lisbon (Portugal); University of Stuttgart, University of Erfurt, University of Frankfurt am Main, Bauhaus University (Weimar city), Braunschweig University of Technology, Dresden University of Applied Sciences, Technical University Munich (Germany); Aarhus School of Architecture, Vitus Bering Centre for higher education (Denmark); Czech Technical University in Prague (Czech Republic); Tampere University of Technology (Finland); Lublin University of Technology, Bialystok University of Technology (Poland); etc. Overall 34 higher schools. Faculty of architecture have ERASMUS international study exchange program. This contract is signed with 34 higher schools of EU countries. Students of VGTU have opportunity to study one semester in the higher schools of Germany, Denmark, Poland, Czech Republic, France, England, Norway, Sweden, Finland, Italy, Spain, Portugal, Latvia. Annually in other universities study more than 40 students of architecture faculty. During the studies university gives artistic education, main knowledge and skills which give opportunity independently tackle not complicated architectural and urbanization tasks. Also, students learn how to be professional assistant of architect. Quantity of gained knowledge and skills is enough for students for further specialization in any field of architecture. After studies students may work in companies of architectural projection, planning of city and building enterprises. Moreover, students can work in institutions of state and municipality. Furthermore, arrange reconstructions of buildings and their interior. Besides, arrange architectural projects of urbanistic complexes of buildings and landscape. What is opinion of students graduated from architecture? ‘Study program of architecture is not only new discoveries, but also responsibility! Here I learned the main lesson of life. I realized that my contact with paper can absolutely change people’s life. Therefore, when I do every work I try to not forget creatively express my minds and delicately and responsively deal with architectural measures.’ (Milda, graduated from architecture in 2010). ‘I am very happy that I chose Bachelor's and Master's studies in faculty of architecture. 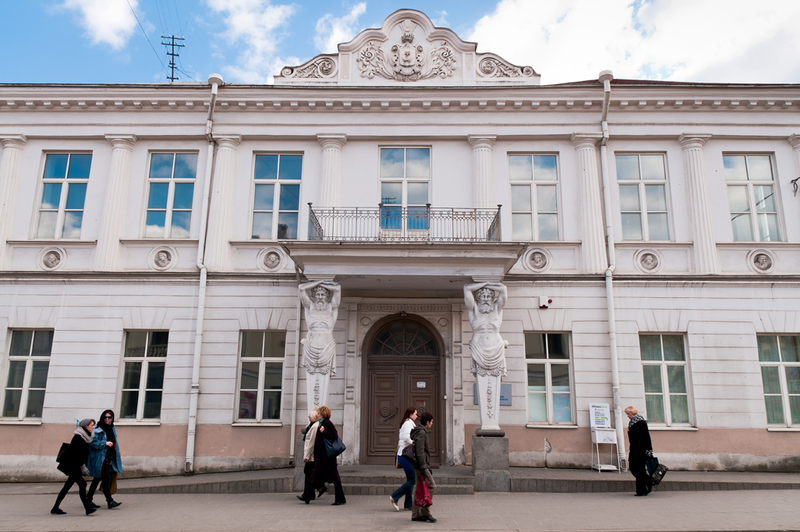 I studied in VGTU not for diploma, but for my interest. Therefore, I liked very much that every subject is taught by real specialists of particular field. Lecturers every subject teach not only by books, but also very lively, sometimes not in the auditorium, but outside the university - in the old city by touching real heritage. Also, I would like to emphasize strong personalities in projection, history of architecture and in the fields of heritage, non-traditional methods of context analysis. What is more, I appreciate that faculty of architecture keep international contacts with foreign universities and it is exciting to see young collective in my faculty. Definitely, there is something what I should improve, so I try to do my best in further studies in faculty of architecture by reaching doctoral degree. As a result, I seek doctoral degree because I would like to relate my scientific future with VGTU University which is the best higher school of architecture in Lithuania.’ (Lukas, Master's degree student).